Motorpoint, the country's leading car supermarket, has slashed prices by as much as £1,000 on a wide selection of new and used cars for the new year. 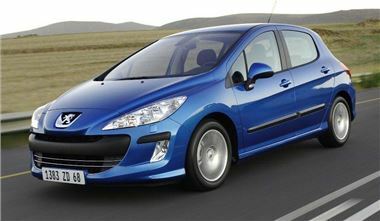 These include models from manufacturers such as BMW, Ford, Mercedes-Benz, Peugeot, Seat, Vauxhall and VW. Among the deals on offer are a NEW Seat Exeo 2.0 TDI CR S 4dr for only £13,999 (formerly £14,999) or a 59-Reg Mercedes-Benz C180 CGI SE Auto 4dr for only £16,999 (formerly £17,999). Alternatively there is an 09-Reg Ford Fiesta 1.25 Style Plus 5dr for only £6,999 (formerly £7,499). Says David Shelton, Managing Director of Motorpoint: "We've always prided ourselves on selling the cheapest cars in Britain. And, now with our sale, our customers will be able to save themselves even more money on a wide range of the most popular models on the road."